Alabama Secretary of State John Merrill and Bullock County Probate Judge James Tatum are attending a two-day meeting in Memphis, Tennessee, on Thursday as members of the U.S. Elections Assistance Commission Standards Board. The Standards Board was created by the Help America Vote Act and consists of 55 chief state election officials and 55 local election officials who are nominated by the Chief State Election Official. This board serves to advise the U.S. Elections Assistance Commission through a review of the voluntary voting systems guidelines, which are used by the commission to certify voting systems for use in U.S. Elections. In addition, the board members will receive a classified briefing from the Office of the Director of National Intelligence and the National Counterintelligence and Security Center. 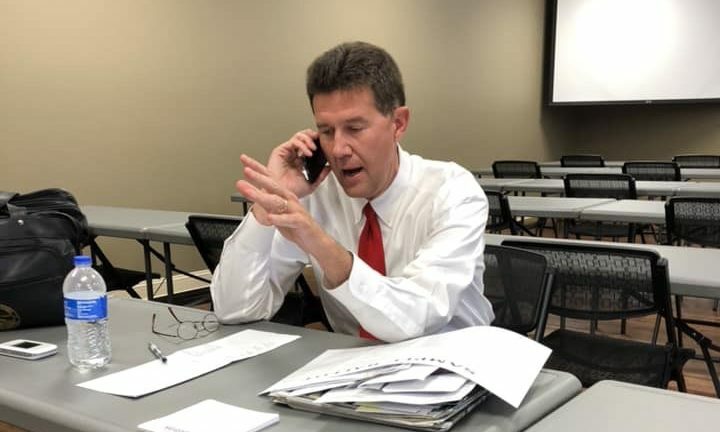 “I am excited to continue to work with the Elections Assistance Commission to ensure the Elections Systems in Alabama and across the nation are free and fair or as we say in Alabama, easy to vote and hard to cheat,” Merrill said. “I am honored to have been nominated by Secretary of State John Merrill to represent the state of Alabama as our local election official on the EAC Standards Board. I will make sure our voices are heard and all views are introduced for all to consider,” Tatum said. The U.S. Election Assistance Commission was established by the Help America Vote Act of 2002. EAC is an independent, bipartisan commission charged with developing guidance to meet HAVA requirements, adopting voluntary voting system guidelines and serving as a national clearinghouse of information on election administration. EAC also accredits testing laboratories and certifies voting systems, as well as audits the use of HAVA funds. Other responsibilities include maintaining the national mail voter registration form developed in accordance with the National Voter Registration Act of 1993.